For all the odds and ends that come with soldiering, or whatever outdoor adventures come your way! Lots of space for organization and other good stuff. Like candy. 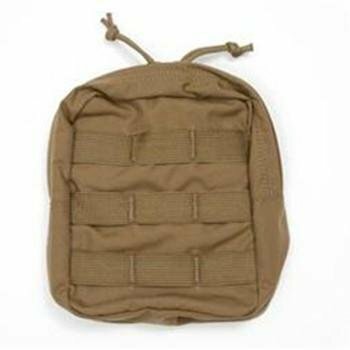 This 6x8 Utility Pouch is designed to hold medical supplies, a 1 quart GI canteen, Nalgene bottle, or other miscellaneous items. It features dual zipper pulls and modular webbing on the front for attachment of modular pouches. Made of 500D Cordura® Nylon and attaches to any MOLLE/PALS Style webbing with the included MALICE® Clips.